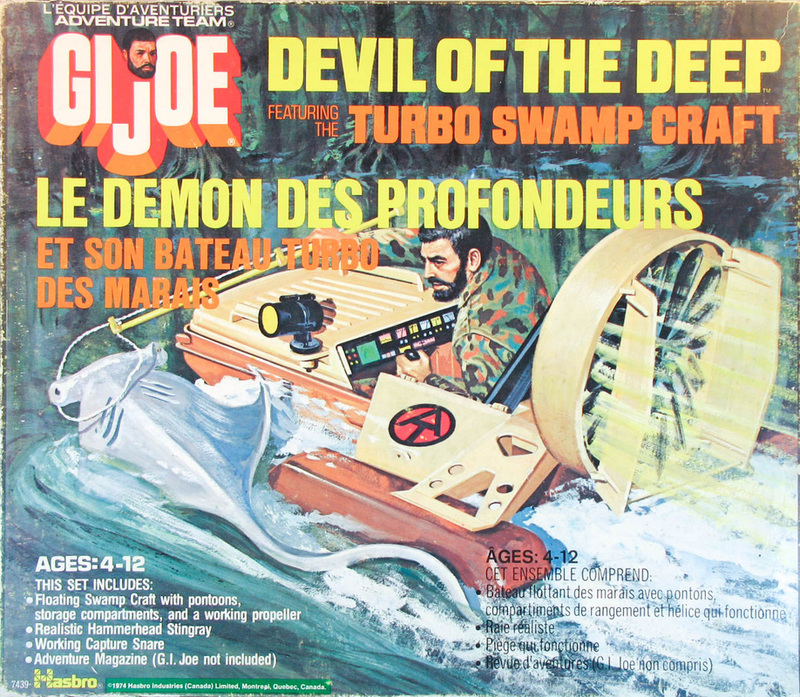 One of the coolest of the vehicles in the Adventure Team collection is the Turbo Swamp Craft featured in Devil of the Deep (7439). A spring loaded motor spins the propellor when the plunger is pushed, creating a great whoosh of air. 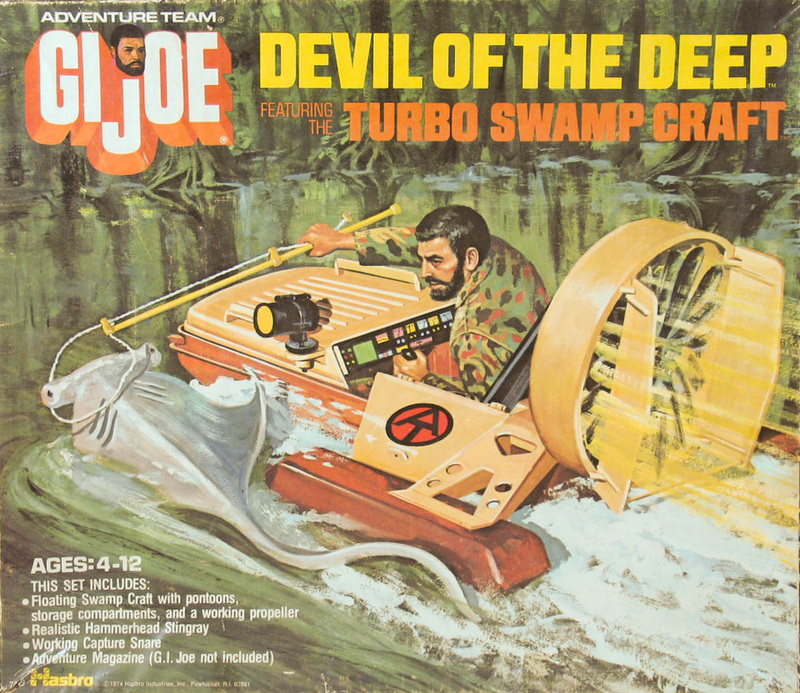 Joe is traveling the swamp to capture the dangerous and rare 'hammerhead stingray,' a monstrous hybrid of some sort. the snare from the set is a great accessory that is often found with its rope end broken. The control handles and crossbar between the finds on the boat are often missing. 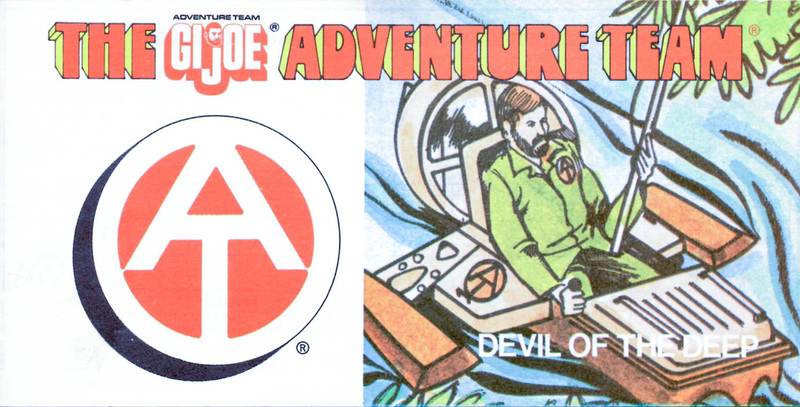 Both have been reproduced, so be careful when buying one. The hull of the boat is a reuse of the mold from the boat first found in Capture of the Pygmy Gorilla. 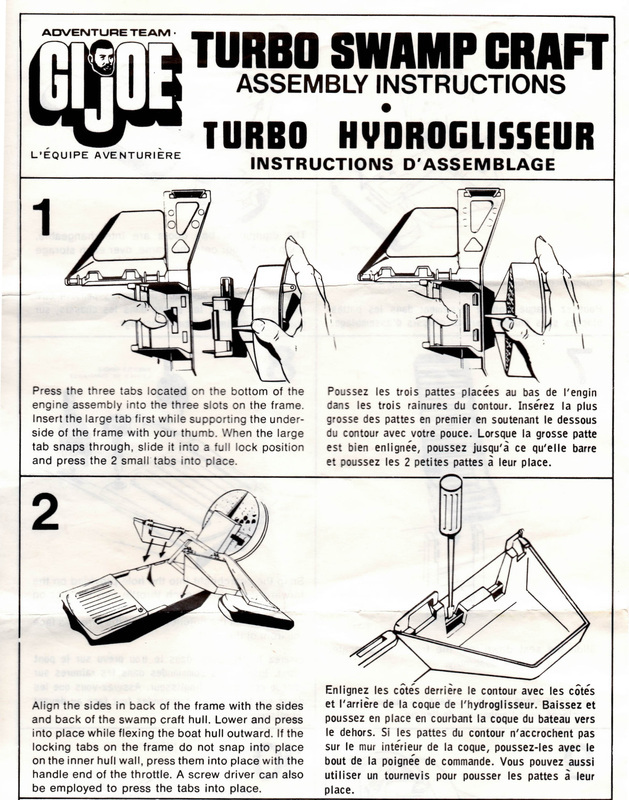 Below, the Canadian release box with French and English text.